Finished in a luxurious high gloss ebony, the piano’s cabinet has been expertly polished to a like new sheen by our piano refinishers. 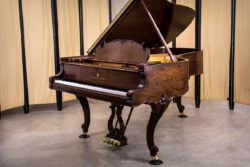 The piano sits on tapered, spade legs and features a beveled top lid, a pointed music rack, and rich brass cabinet hardware and casters. The piano’s quality of tone is clear and bright. The high-grade action coupled with expert regulation ensures a responsive and sure touch across the entire keyboard. 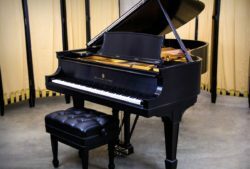 This piano is a fantastic value for those seeking a good grand piano at an exceptional price point. This piano includes free local ground floor delivery and a matching spade leg bench. We are offering this piano for the very affordable price. 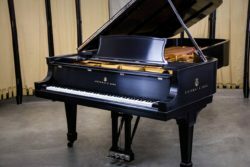 This piano is a perfect choice for those looking to upgrade from a digital keyboard, a beginning pianist, a student or any other pianist that appreciates the performance of a grand piano. 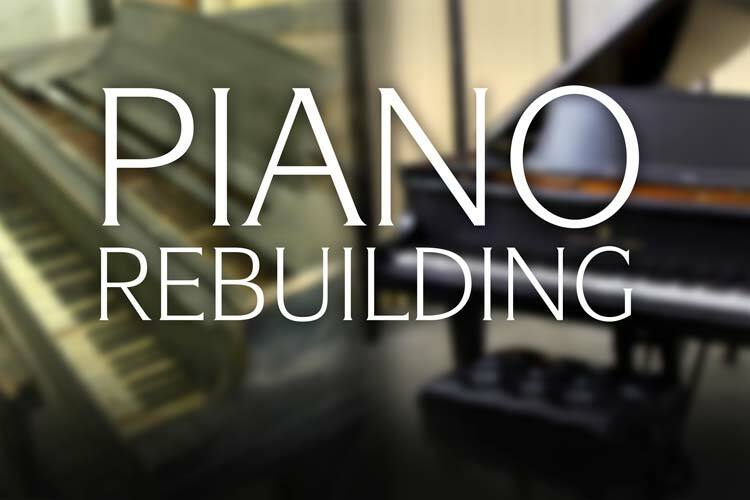 Our expert piano technicians have gone through the action of this piano to fully regulate it and ensure a responsive and beautiful playing experience. 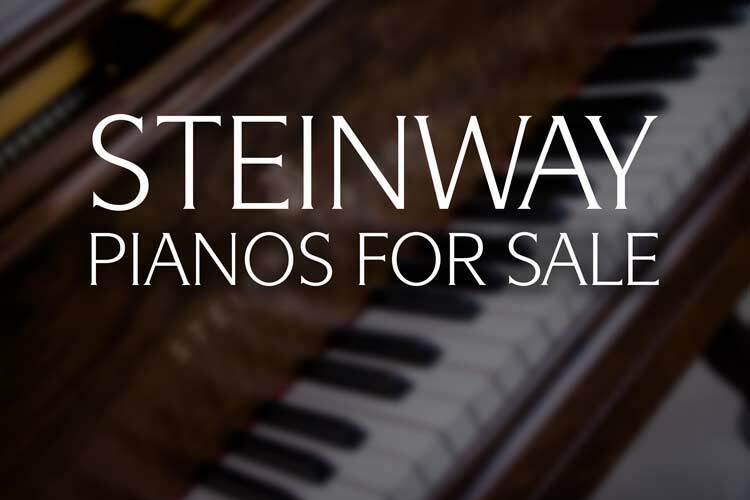 This piano is a great bargain and is a great, affordable choice for anyone. We also offer expert piano moving to any location throughout the nation. This piano is currently located at our New Paris, IN. 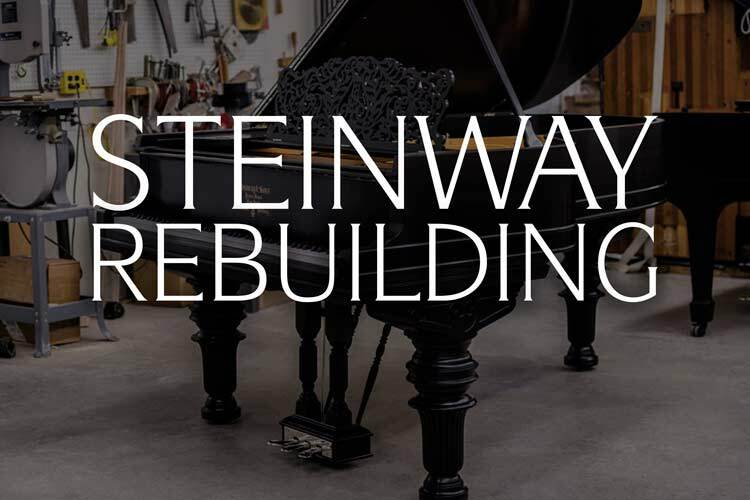 Piano Rebuilding Facility. 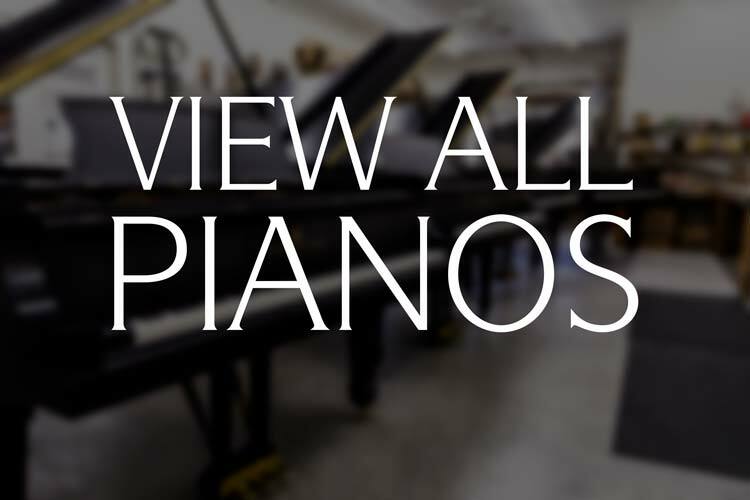 Contact us today for more information and to set up an appointment to play our premium pianos. The Chupp's Piano Service Showroom in Goshen is proud to offer brand new Kawai upright, grand and digital pianos. 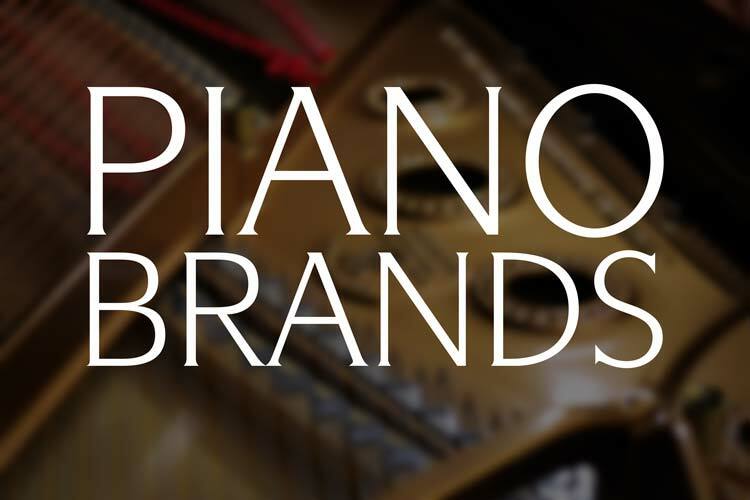 As the only authorized dealer here in the Michiana region, we are proud to represent the Kawai name. The Kawai K-200 is part of the company's K-Series of professional grade upright pianos. This instrument measures 45" in height making it a perfect choice for both home and studio use. The K-200 features the famed Millennium III Action with ABS-Carbon parts, extended length key sticks, a solid spruce soundboard, a hard rock maple pinblock and much more. Available in ebony, and mahogany in both satin and high gloss sheens. Contact us today to set up a private selection appointment to find out why Kawai pianos are some of the finest you can buy. Visit our showroom to receive our very best pricing possible. Error: Error validating access token: Session has expired on Thursday, 10-Jan-19 19:00:02 PST. The current time is Wednesday, 24-Apr-19 23:03:23 PDT.